HOW TO GET CAT ISLAND TASHIROJIMA IN JAPAN And Private Tour! Cat Islands in Japan becoming popular. 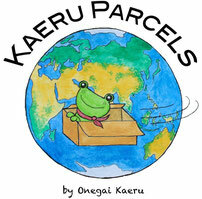 Onegai Kaeru team sees more people online talking about cat islands and also many online/offline news paper also featuring about it. Many visitors asked us about the mysterious cat island - how to get, where to stay and private tour guide. Thus we decided to provide some practical info on the cat islands, how to get these islands and what the cat island local says about the visitors. This time, the focus is on the Tashirojima island. 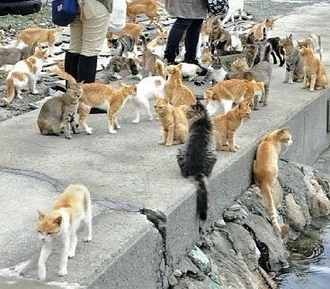 The famous cat island in Japan is Tashiro-Jima Island (田代島) in Ishinomaki, Miyagi (86 inhabitants and more than 100 cats). Cat is not accessory to the island but something sacred. Almost in the center of the island, there is the "cat shrine/Niko Jinja" which is for good fishery. Traditionally on this island and the Miyagi pref area cats were protected because it protects the silk warm against mice. This way, the local has taken care of cats very well. Some local calls this island "Tassho". The island boomed with agriculture in the past but today it has two main industries - fisheries and tourism. The island is located 15 km away from Ishinomaki port. In 1950s there were 1000 people living on the island. 1989 saw its only primary school close. 2015 census says around 80 people. The average age is 71 year old. The island has the "Manga island " where several famous manga artists such as Shotaro Ishinomori, Tetsuya Chiba, Machiko Satonaka display their works and signature. It has 5 lodges, camping site, lend fishing tools and rent-a-bike ( for the accommodation part we will talk about this later on). So how to get Cat island Tashirojima? NOTE for traveler:the time table changes from time to time. For the accurate information, please check the official website. For the details, here is the telephone number of the ship company +81-225-93-6125. We featured several options and places to stay in our separate articles: You can stay over night on Tashiro-jima island. Please check out the list of guesthouses here! In the Manga island area, there are 5 lodges and a camping sitewhere you can stay. 8000JPY per night for a lodge and 1500JPY per night for a camping site. Call up (except for Tuesday) and send the form in this link to book. When you go and you plan to stay, bring some cash with you. The credit card is not accepted often and there is no ATM or any bank on the island. Private tour to Cat island? Do you wish to have a private tour guide to the cat island from the local? The tour departs from Ishinomaki station or Sendai station or from your hotel nearby to the island. Our guide can take you to the cat island -Tashirojima. If you stay on the island, the tour guide can drop you off at your stay. Please note that due to the weather the ferry may be cancelled and also the seat may not be available. In addition to the cat island, the private tour is also available for Sendai area where you can visit the old castle, shrines and temples with local delicacy! Are these islands too hard to get based on your travel schedule? We feature more than 10 cat islands in Japan for you. Check this latest and full list of cat islands in Japan out!! The biggest list of "cat islands" in Japan. Please refer to our latest cat island list in Japan (updated from time to time). Wanna try free spa in the water fall or river? Click here to find out more! If you love the nature, jungle, adventure, check out our list of interesting islands in Japan! Cat coin box. The cute cat will take your coins!